Job seekers who wish to seek a new career or want to shift their career then 2015 will be a great opportunity to focus on their career. By starting of this New Year both job seekers and recruiters are in search of new candidates by seizing the job opportunities. Many of the companies are evaluated and budget the recruitment needs and planned to bring new employees as per the organization needs. There are many ways to standout among the group by highlighting their profile and grab the attention of recruiters. It is better to recall and re-valuate your career goals with firm career objective. Many people start applying for jobs without having a clear career goal and flexibility is not the right answer when determining job-search goals. 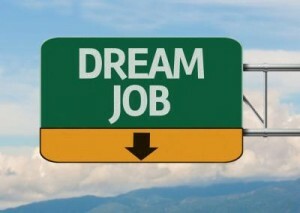 Having targeted focused and specific job search goals will ensure success at job search. Search for networking groups: Networking is the major tool playing key role in present social networking era to land your dream job. Take time and search for the professionals who have been succeeded in your profession. Then present yourself by highlighting your skills and accomplishments to get a pitch in your job search. Craft your resume: Customs your resume as per the specific positions of job applications and apply accordingly.Adding keyword to your skill & will help you to get shortlisted in job search. Make sure that your accomplishments and skills will be matching with the given job description. Have a clear online picture: It is a social media area and many recruiters are searching for your online profile before they go through your resume. Refrain from posting questionable content, remove any inappropriate or explicit content, and avoid posting content that is too personal. If you made any obvious comments about your previous employer then remove them. Take staffing firm help: A staffing firm will really help you to get succeed in job search. Many companies utilize staffing firms as a way to funnel job postings and weed through the mass of applicants.